Assertive design enhanced by full LED headlights, front carbon fibre mudguard. 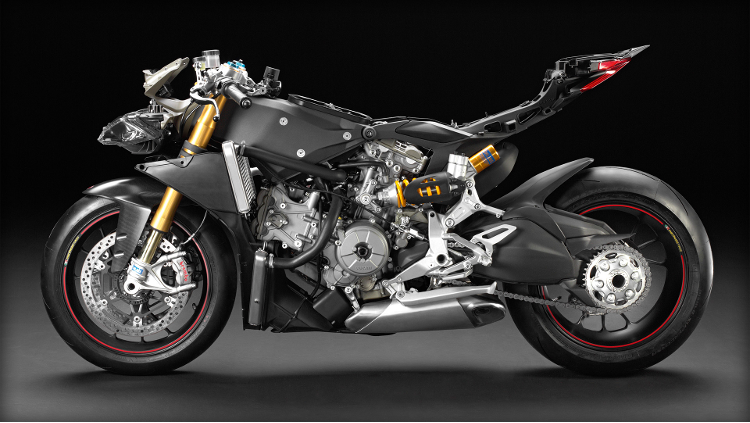 Marchesini machine-finished wheels, electronically controlled suspension and adjustable Ohlins steering damper. With this race set-up. 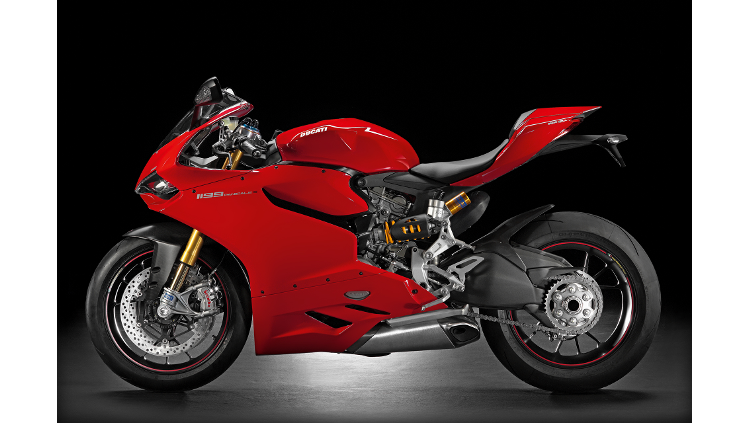 the 1199 Panigale S is immediately ready to hit the track and take on the stopwatch. Contact us today to book a test ride and find out our latest special offers on 1199 S.
The need to control the enlarged valves with the extremely precise Desmodromic system prompted engineers to replace the original belt transmission, mounted on the first Ducati Pantah in 1979, with a configuration mixing both chain and gears. As a result, the chain timing allows an efficient transmission of the motion between crankshaft and camshaft transmission and thanks to the automatic tensioning adjustment, ensures constant reliability and a reduction in routine maintenance costs. The 1199 Panigale S is equipped with Öhlins suspension, both on the front and on the rear, that features the innovative Ducati Electronic Suspension (DES). Also made by Öhlins is the adjustable steering damper. In addition, the model rolls on super lightweight forged and machined Marchesini wheels, a carbon fibre front mudguard, full LED headlights and an “Aero kit”, which consists of an additional wider fairing top-section. 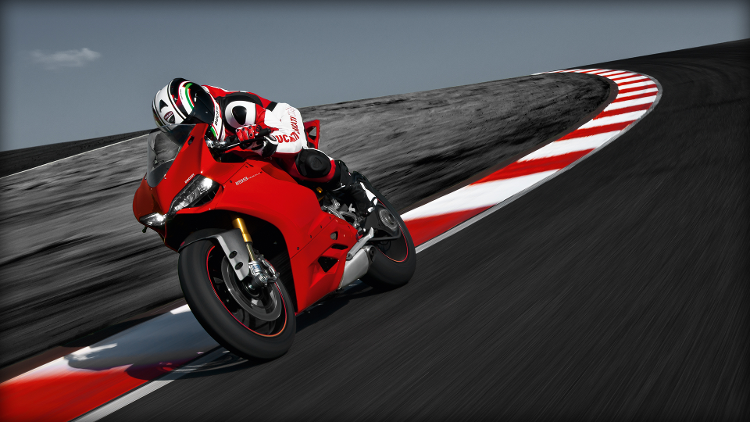 The 1199 Panigale S is also equipped with DTC, DQS, EBC and Power Mode combined into the Ducati Riding Modes. This model is available in standard configuration with optional ABS*. 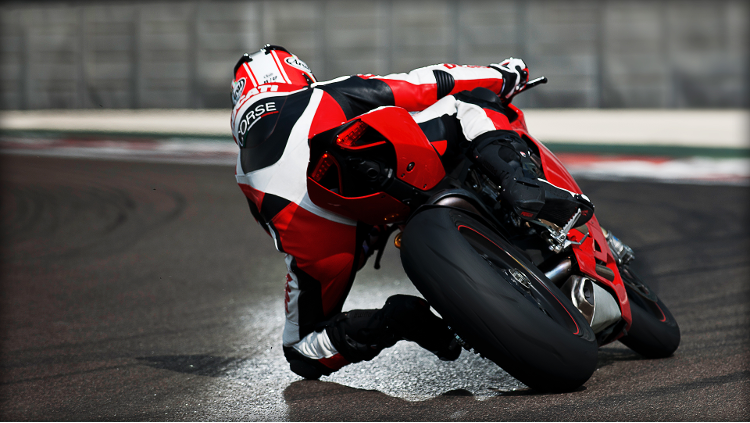 You will find the full selection of Ducati superbikes at Ducati Manchester. We offer new and used panigales for sale, backed up with an excellent service department, and a full range of panigale parts and accessories. Ducati engineers took their design freedom to the limit by increasing the distance between centres of the six-speed gearbox shafts and allowing the use of wheels with an increased diameter and superior strength for the transmission of power delivered. The oil bath clutch is a new feature for a Ducati Superbike at the top of the range. The design of the clutch, very similar to the Multistrada and Diavel models, provides for a progressive system which allows the load to be increased on plates without penalising the effort required required by the rider to pull the lever and disengage the clutch. This optimally satisfies both the need of high torque transmission and an optimum comfort for the rider. In sport riding conditions with abrupt shifting down and heavy exhaust braking, the same mechanism reduces the pressure on clutch plates, allowing them to slip as in a racing system, contrasting with the loss of stability of the rear end during aggressive shifting down and offering the supplementary advantage of an excellent modulability during hard braking into corners. 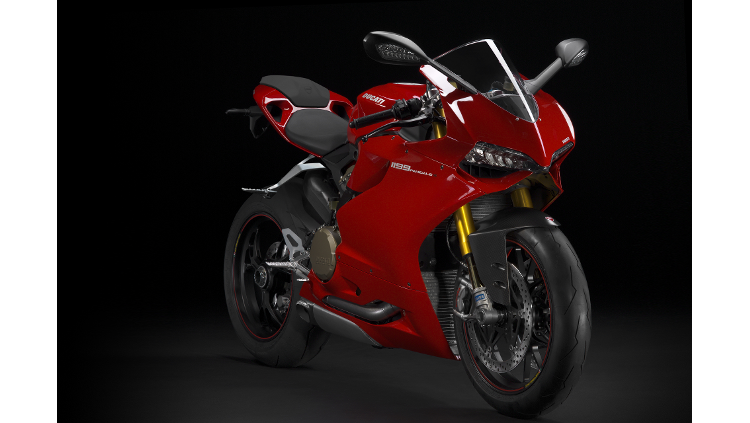 Customise your Ducati 1199 with our full range of 2014 Ducati 1199 S Parts & Accessories online. Also at Ducati Manchester we have a full range of 2014 Ducati 1199 S Clothing & Accessories available at our online Ducati Store. 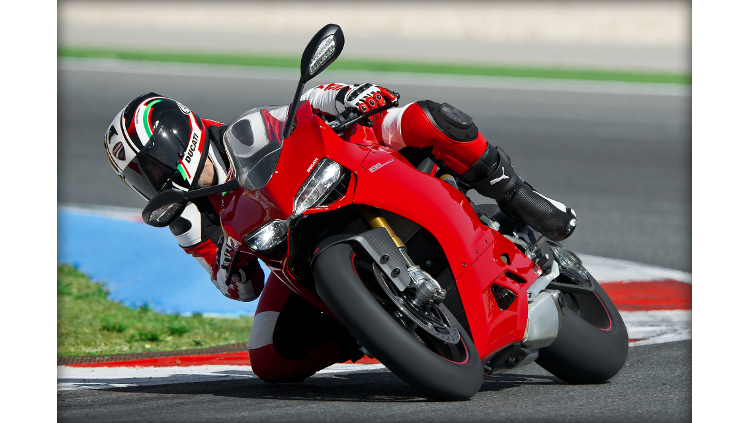 We offer a range of affordable finance options on new & used 1199 Panigale motorcycles.